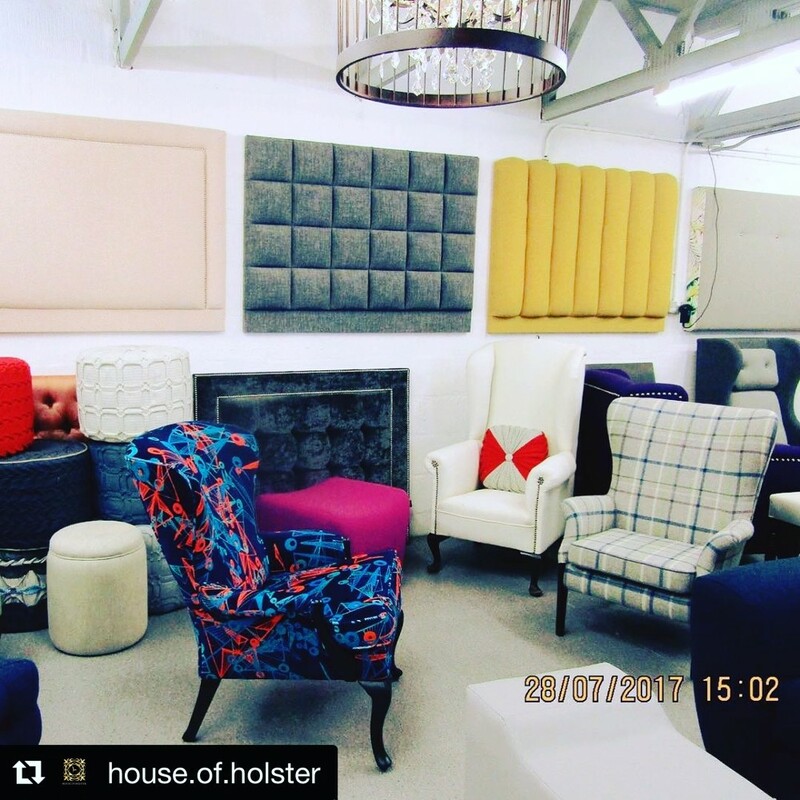 We are delighted to announce that after a few years of working together with Holster upholsterers, collaborating with them on a number of projects, they have now launch their first interior showroom House of Holster in Edinburgh. And the best part of this? Moody Monday is a part of that showroom! You can now browse through our fabric and wallpaper collection in this new showroom, where our complete collection sample books are there at your disposal. Our soft furnishings from the new fabric collection, i.e. armchair, cushions, foot stool is now available for you to try out and have a feel for them in the flesh. When being bowled by the beautiful pictures just isn’t enough anymore! They have been such a great partner to Moody Monday over the years. 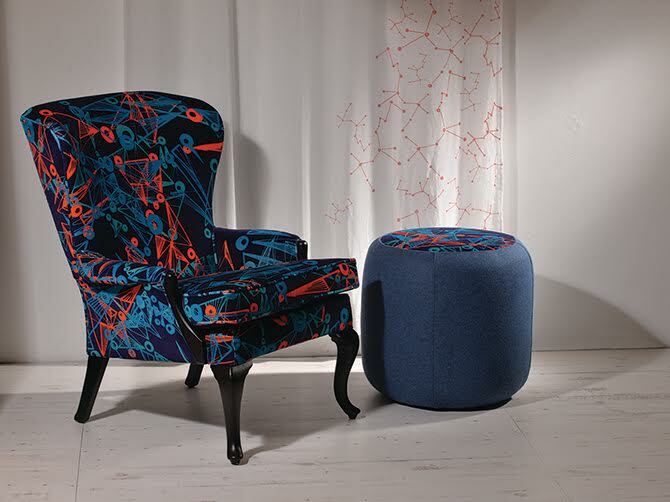 They have been fully responsible for our Nebulae velvet armchair turn out. The armchair+footstool has been such a hit with the New York design crowd. They have been a hit in every location wherever these stunning pair had landed on really. You should visit them when you get the chance to. 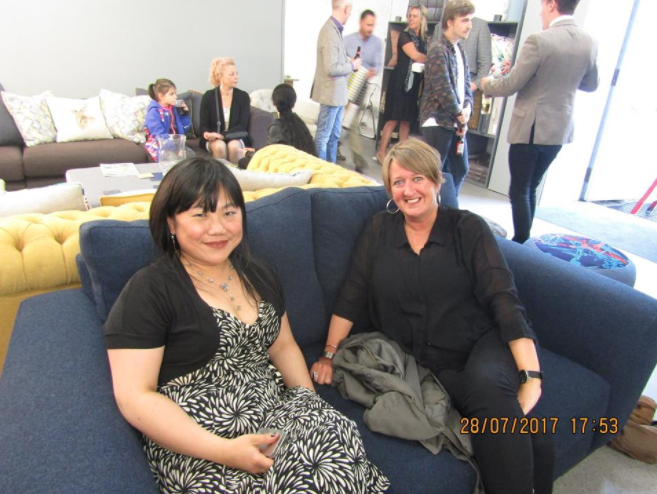 They also provide curtain making service and have worked with high profile clients like the G&V Hotel Edinburgh and Harvey Nichols to name a few.